Our company provides software under shareware license. Each software contain trial period. If you detect errors before or after registration, you accept them if you register. Any description of bugs will be accepted, but we cannot guarantee that we will be able to fix them asap. Our engineers will try to provide our customers with all required fixes. 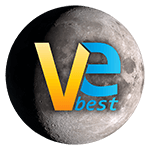 All VeBest software IS DISTRIBUTED "AS IS". NO WARRANTY OF ANY KIND IS EXPRESSED OR IMPLIED. YOU USE AT YOUR OWN RISK. THE AUTHOR WILL NOT BE LIABLE FOR DATA LOSS, DAMAGES, LOSS OF PROFITS OR ANY OTHER KIND OF LOSS WHILE USING OR MISUSING THIS SOFTWARE. By registering (buying) our software you accepting software quality and functionality. User should use trial period before buying to avoid refund. We are providing refund over 30 days period. Refund can be made by user request. Refund will be made after disabling software and removing license key.